Kid geniuses Teengirl Fantasy present their debut LP “7AM”. While students at Oberlin College, Nick Weiss and Logan Takahashi clicked over a shared love of classic house and techno records that prompted them to make “some kind of dance music that wasn’t just emulating what we were hearing”. The duo’s music often forms out of melodies, samples or concepts that through jamming and improvisation organically materialize into full-fledged compositions. However, for “7AM”, their debut LP, they have also sharpened their focus and concentrated on structures, creating a set of 9 entirely new tracks that, while undoubtedly sounding cleaner and more polished, have more importantly lost none of the band’s intrigue and penchant for free-flowing experimentation. Rather than relying on triggering loops, or sequencing on a computer the music is performed and composed live, resulting in a form of discourse between the band and their instruments. The result is an a-typical one for electronic dance music- textures and tones that move along with a firm rhythmt but still retain an distinctly human and emotional core. From the dramatic break that splits “Forever the Feeling” down the middle, to the soulful heart-break of “Dancing in Slow Motion”, featuring the vocal talents of Shannon Funchess, of Light Asylum, to the gloriously euphoric gospel-tinged trance of “Cheaters”, it is clear that “7AM” is a major leap forwards from anything they’ve done before. The title, in the bands words. “It is meant to evoke the sort of confused, dreamy, half-awake, half-asleep state that one experiences after staying up all night partying”. Somewhere between bliss, exhaustion, melancholy, start of a new day, end of a night”. 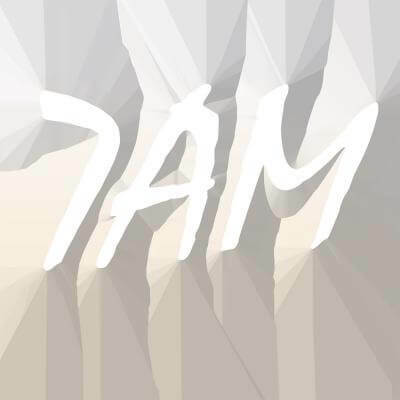 And indeed, “7 AM” is simultaneously haunting, off-kilter, moving and addictive. At first glance, the moniker Teengirl Fantasy may seem strange for two American college students making sprawling, woozily throbbing electronic dance music. Upon closer inspection however the meaning seems to be made clear – their compositions, rather than reflecting the fascinations of a teenage girl, are intended more as a portal into the psyche of one, real or imagined – a densely cluttered, richly colorful stream of consciousness which may often dart in many directions at once, paying homage to everything from 90’s R&B, shoegaze, rave and vintage house divas, before assimilating it into one seamless whole.